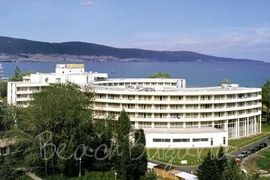 Imperial hotel is located in the southern part of Sunny Beach. It is 1.5 kilometers from the Old Nesebar, just 150 metres from the sea shore. The hotel offers vast gardens, animation and private beach with All-inclusive bar. 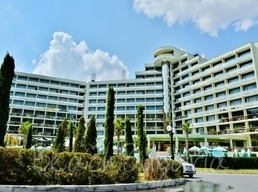 Kiparisite hotel is situated in villa zone Zora, 60 m from the beach and the main promenade of Sunny beach resort. A regular bus transport provides easy access to the central part of Sunny Beach and Nessebar. 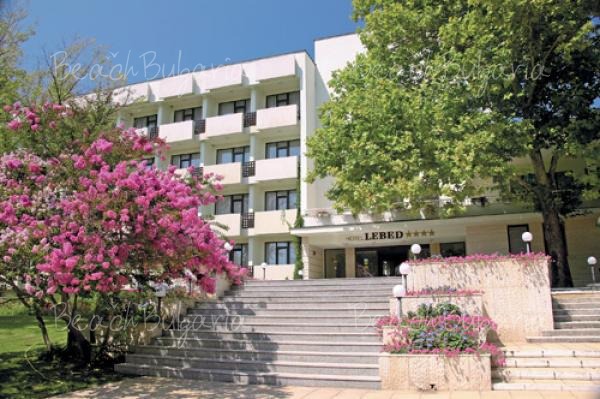 Lion hotel is situated in the center of Sunny Beach resort, just 200 m from the beach. The hotel offers relaxing and comfortable accommodation in wonderful surroundings. 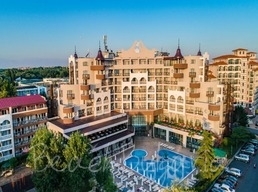 Majestic Hotel is located just 50 m from the beach of Sunny Beach resort and close to the resort centre. 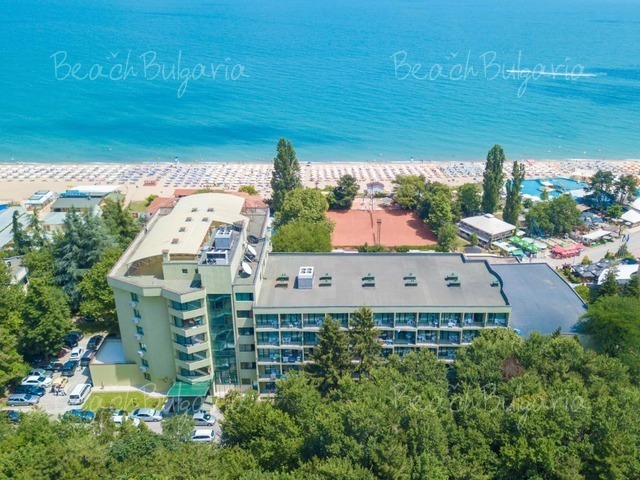 Marvel hotel is situated 100 m from the beach and the picturesque sea path in the north part of Sunny Beach Resort, near to the bus stops to the Old Nessebar, Sveti Vlas and Elenite. Mercury hotel is located in a calm area, known as the Alley of arts, in the heart of Sunny Beach resort and only 80 meters away from the fine sands. 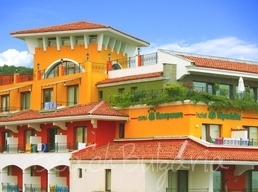 The hotel is situated close to shops, bars and restaurants. 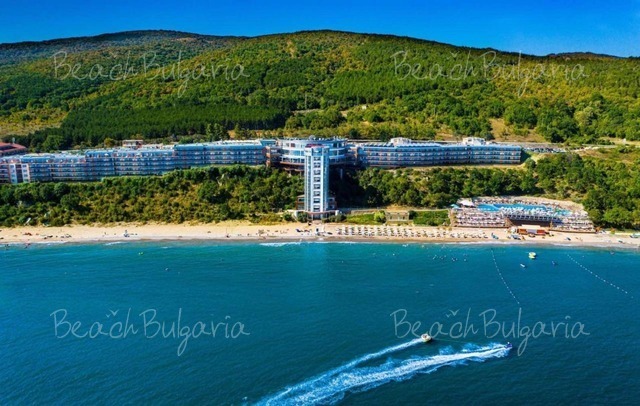 MPM Kalina Garden Hotel is situated 200 m from the beach in the central part of Sunny Beach resort, within walking distance from the pedestrian shopping zone. 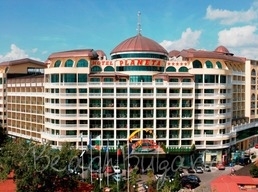 Planeta Hotel and Aqua Park is located 70 m away from the beach, in the centre of Sunny Beach resort. The hotel features 186 double rooms, 63 double large rooms and 55 suites. 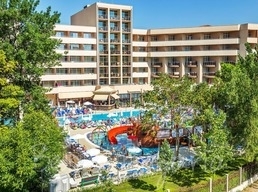 Riu Helios Hotel is situated right at the beach close to the centre of Sunny Beach resort.